You've Lost It, Now What? - IFA Vintage and Current Book Library - Index Fund Advisors, Inc.
Notes: Clements, an award-winning personal finance columnist, rips apart this dubious advice, telling readers what's true and what's not. 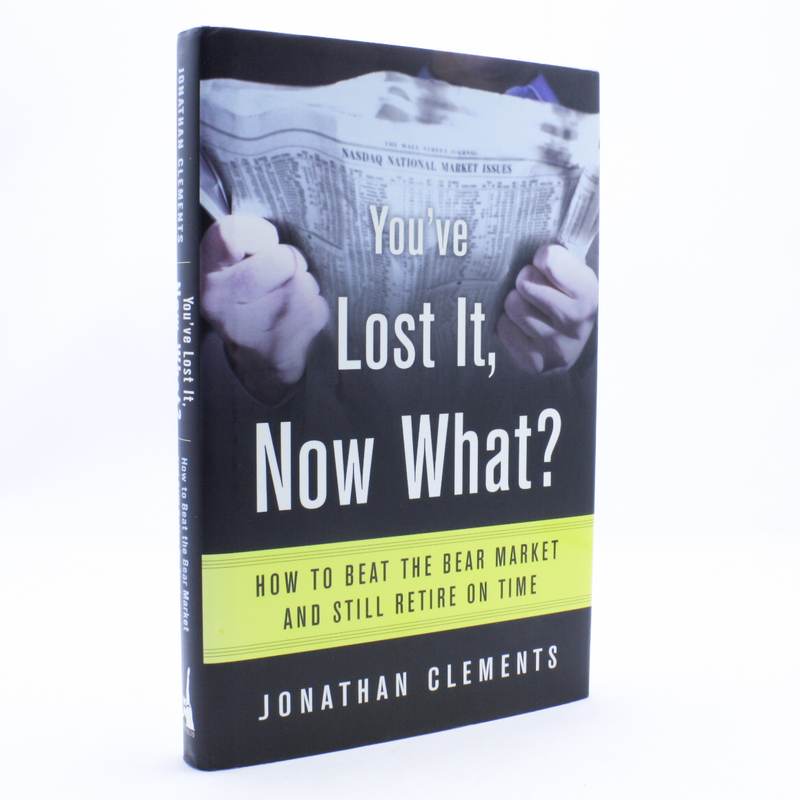 In the same feisty, easy-to-understand style that he brings to his regular Wall Street Journal columns, Clements gives readers a road map for the years ahead. He takes them step-by-step through the process of rebuilding their nest eggs and explains how, after reaching retirement, they can squeeze the maximum out of their savings. This practical, concise guide will allow all readers to stop panicking, rebuild assets, and get their retirement plans back on track.